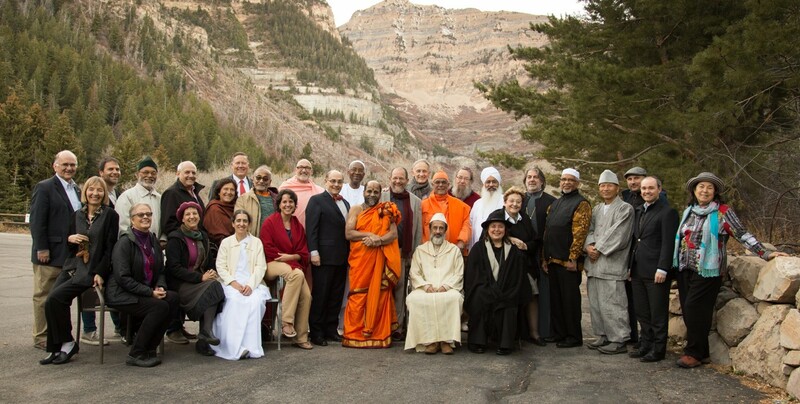 Issues of environmental degradation and our joint responsibility to the environment are the concerns of all religious leaders and communities and in recent times a number of Elijah Board of World Religious Leaders have made important contributions to the issue. Of particular importance for the survival of all forms of life is clean water. The Elijah Interfaith Institute was proud to be represented by two members of its Board of World Religious Leaders, Rabbis David Rosen and Awraham Soetendorp, at the recent signing of the Covenant for the Jordan River by religious leaders representing Judaism, Christianity and Islam. The Rabbis both spoke as part of the opening ceremony which included speeches by Christian leaders of many denominations and Muslim leaders from Jordan and Israel and Palestine. Elijah’s Director of Educational Activities, Peta Jones Pellach, was also present to formally add the Institute’s endorsement to this important cause. The event was organized by Friends of the Earth Middle East who presented a compelling introduction to the problems faced by all of us who treasure the River Jordan. An important component of the meeting was the launch of educational resources based on Jewish, Christian and Muslim sacred sources, (a separate booklet for each faith group). It is intended that the booklets, which will eventually appear in English, Arabic and Hebrew, will be used by religious leaders and teachers with their communities to draw attention to the religious obligations to preserve water, as well as the special place of the River Jordan in these three traditions, both in history and as having sacred qualities. Representatives from the different religions previewed the booklets in their draft editions and made suggestions as to how they could better reflect the sanctity of water and the River Jordan in particular. 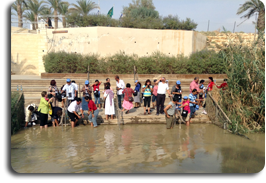 The program included a visit to the Jordanian side of the baptismal site where John baptized Jesus, alongside the Hill of Elijah – most significant for our organization. It was sobering indeed to realize that the Jordan River is flowing at 4% of its original capacity. Indeed, at the baptismal site, the river is a stagnant, dirty creek – not conducive to religious ceremonies or commensurate with its significance. All documents associated with the meeting that took place in Jordan, 10-12 November, 2013, are available on the website of Friends of the Earth, Middle East. This is not the first time that Elijah leaders have been active in issues of the environment, particularly matters relating to water. “Wings for Water” was the theme of a multistakeholder dialogue on water cooperation hosted by the Dutch government in the historical Peace Palace in The Hague on March 21st. This dialogue was held in connection with the official celebration of World Water Day 2013 on March 22 and brought together high-level representatives of the United Nations, civil society organisations, young people, government and business to discuss the importance of water cooperation for peace and sustainable development. Rabbi Awraham Soetendorp’s Institute facilitated the participation of spiritual and indigenous leaders in the dialogue. It was the first time that spiritual leaders were involved in the UN-led process on the Millennium Development Goals at such a high level. The successful interreligious activities in preparation of the Rio + 20 Conference contributed in strong measure to this breakthrough. The Global Interfaith Alliance for Water, Sanitation and Hygiene (WASH) was launched at the United Nations with Swami Chidanand Saraswati, Rabbi Awraham Soetendorp and other religious heads from around the world in attendance, on September 25th at the UNICEF Headquarters in New York City. GIWA has been created as the world’s first global initiative to engage the world’s many faiths as allies in promoting access to safe drinking water, improved sanitation and hygiene. Its mission is to save lives by accelerating WASH projects worldwide. The event was sponsored by the governments of the USA and the Netherlands and hosted by UNICEF. Hindu leader, Shrivatsa Goswami’s presentation at the Red Earth celebration of India’s culture was entitled ‘Celebrating Water’. 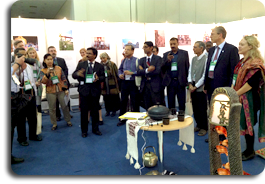 Water was also on the agenda of the 10th Assembly of the World Council of Churches, held in Bosun in South Korea. Elijah’s Director of Educational Activities was an interfaith guest of the Assembly and had the opportunity to promote Elijah’s HOPE project. She was also present at a water ceremony, emphasizing the sanctity of water, the place it plays in all religious traditions and our responsibilities towards our water sources. Of course, for Christianity, water is used in baptism, and on the fourth day of the Assembly, baptismal water was sprinkled as part of the morning prayer service. The theme of the Assembly was ‘God of Life, lead us to Justice and Peace’ and the bible study session that followed included references to water as one of the Divine gifts of life. The water ceremony was held later in the day in the InnSpire space, a space for interreligious encounter and learning, which was a hub of activity throughout the Assembly. Representatives of Christianity, Judaism, Islam and Buddhism participated, reciting verses and prayers from their various traditions on the significance of water and then symbolically pouring water from one source to another, joining our various cupsful into a larger, common body of water. The WCC distributed a booklet entitled ‘Reflections on Water’ which includes the following ‘Creative Reflection’, a reference to 2 Kings 5:1-14. You can give me a name. For my name is not written in the Bible. But I want you to hear my song. 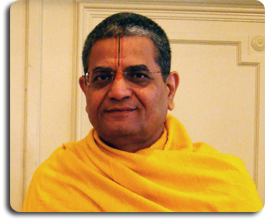 A lecture given by Acharya Shrivatsa Goswami at the India International Centre, New Delhi on 19 November 2013 as a second of the Manthan series which is aimed at relating traditional wisdom to contemporary concerns. “The major focus of today’s scientific explorations is to find the planets with availability of water, despite water being a majority natural element on earth. The reason is simple. Water is life. The Upanishads say Earth is a solid form of water, water is the atmosphere, water is the environment, the space, Gods and humans, animals and birds, grass and trees, they are all various manifestations of water. A great woman sage, Gargi is amazed to see all this and wonders “is the warp and weft of this world laid upon water?” Another sage declares that “for the first time the human soul appeared from water itself.” However fertile the land, given the best fertilisers, the most potent seeds will not sprout without water. Life and its sustenance is dependent upon water. We are reminded of the story of Krishna jumping into the polluted waters where he fights and subdues the snake of pollution called ‘Kaliya’. As all the civilized and scientifically advanced countries do, he also disposed the containers of deadly pollutions or affluent into the deep ocean. The message is very clear, even Krishna who is the God himself, cannot kill pollution once created, at best it can only be contained and disposed.